July 15 was a big day for NFL fans and players. It was a day where fortunes were made, rosters were solidified, and everyone came out on top. Yes, even the guys signing all those big checks, because as long as the players keep earning their money, his team is going to increase in value exponentially making the fat contracts the players signed chump change, as far as he is concerned. Their team owners didn't want to pay them what the market said they were worth. Part of the problem was figuring out what the market dictated. For Houston, it was easy – J.J. Watt's contract (6 years, $100 million, $51.9 million guaranteed). Houston is a linebacker and Watt a lineman, but they are both dominant, game-changing players. In the end, Houston's deal was a lot like Watt's, but a little lucrative (6-year, $101 million, $52.5 million guaranteed). For Bryant and Thomas it was a lot harder. Both are clearly better than Mike Wallace (who is getting paid $12 million/season), but they would both probably say they are not as good as Calvin Johnson ($16.5 million/season). So the big question was: What should the market be for these two? In the end, the market was set within minutes, with both getting 5-year, $70 million deals, but Bryant got $45 million guaranteed while, Thomas only got $43.5 million. The repercussions of these deals are going to be felt in the very near future with a number of other marquee players due for extensions or new contracts. For linebackers, there are few that can even attempt to make the claim they are worth as much as Houston, but some think Aldon Smith and Luke Kuechly certainly can. When it comes to wide receivers, however, there are many marquee players that will expect to get deals similar to Bryant and Thomas. Cincinnati Bengals wide receiver A.J. Green has already called Thomas to say thanks for setting the bar. Indianapolis will have to pay to keep T.Y. Hilton in town, and there is a chance that DeAndre Hopkins could break the mold when his turn comes. Julio Jones and Antonio Brown are certainly due as well. In terms of production and value to the team, each player is deserving. As revenue continues to climb and the salary cap along with it, there is a good chance these guys will get the deals they feel they deserve. While it will be the best feeling in the world when it happens, in the end it could very well lead to disappointment. Yes, a multi-million dollar deal could lead to disappointment. It sounds crazy, but it is true. While wide receivers have to make the receptions if they don't have a good enough quarterback to throw them the ball their talent doesn't matter. Thomas will likely be playing with a new quarterback within a year or two. Bryant might have Romo for most or all of his contract, but towards the end of it, he'll be playing with a new one too. If they happen to luck into an Andrew Luck, like the Colts did after losing Peyton, then they will be in good shape, but if they don't, they will suddenly become the white elephant in the room. When that happens, guess who is going to get cut when the team needs salary cap room? It may not even come down to a scenario like that. In four years Dallas and Denver could draft a couple of wide receivers to take the pressure of the superstars they have. The new guys could flourish and suddenly be nipping at the heels of the old guys to be the team's new No. 1 receiver (a lot like what went down with Reggie Wayne and T.Y. Hilton). Next thing you know, it is out with the old and in with the new. Thomas, Bryant, and Houston are now going to risk becoming a future victim of the dreaded salary cap cut as well. Every season there is at least one player getting paid like a superstar that didn't quite perform up to standard. He still may have been very good, just not worth his salary. The team tries to get him to take a cut, he says no, and he gets cut. It sounds crazy for a team to let a good, productive player go, but if it means the team can sign five other players, as much as it may hurt they do it. Now there is a chance, of course, that none of these scenarios will happen. Bryant, Thomas, and Houston could very well go on to have high-paying, productive careers with the Cowboys, Broncos, and Chiefs. The next group of superstars will get paid as well and everyone will live happily ever after. However, the NFL is a business and when push comes to shove and the tough decisions have to be made, it is always about what puts more of the mighty dollar in the owner's pocket, not the players'. 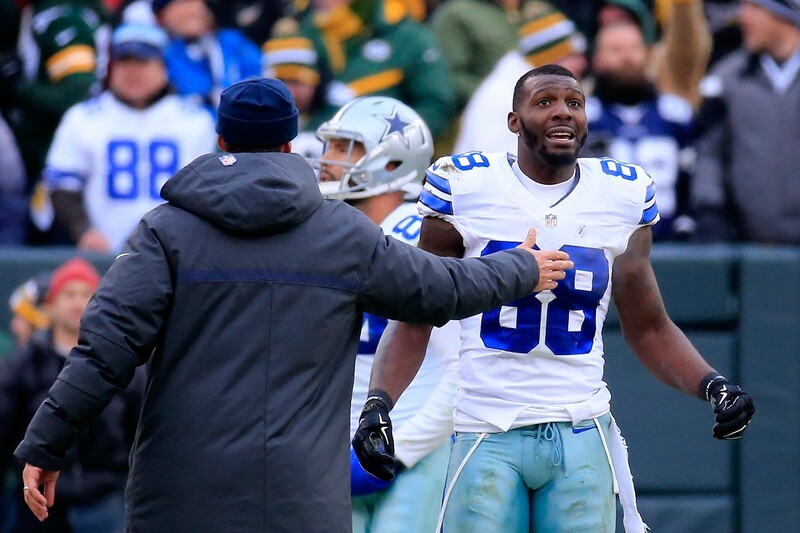 Dez Bryant is now a free agent, but something missing from his old contract may stop him from signing a large deal. In the latest story of an athlete leaving a rental home in less than stellar shape, Cowboys receiver Dez Bryant is being sued for wreaking havoc on a property he lived in for less than two years.